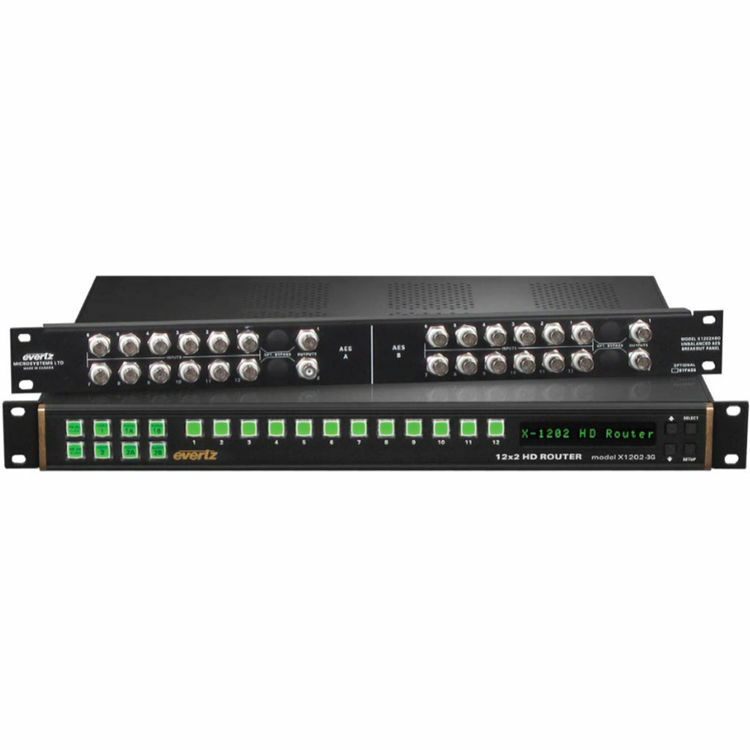 The X-Series 12x2 Video Router from Evertz Microsystems supports SMPTE 424M (3 GB/s), SMPTE 292-1 (1.5 GB/s), SMPTE 259 (270, 360, or 540 MB/s), and DVB-ASI video signals. It features the ability for redundancy protection with a bypass relay and optional dual power supplies. The router comes equipped with an embedded SoftSwitch for all four audio groups. The embedded audio on the two video busses uses SoftSwitch technology to eliminate audible pops when switches are performed for SD, HD, or 3G videos. 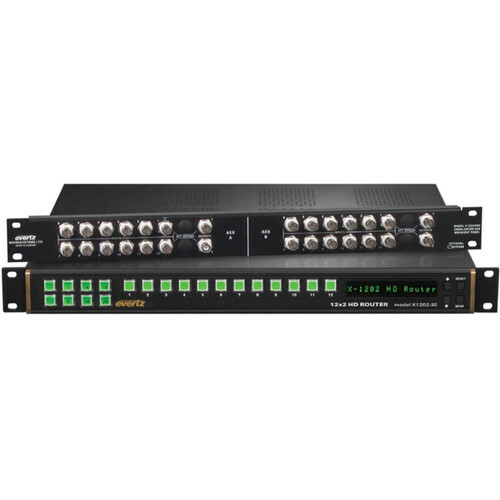 Housed in a 1 RU rackmount frame, the unit can be used with a rackmount remote control panel (available separately) that replaces the built-in control panel. The unit can also be controlled by Quartz over Ethernet, contact closures on the GPI control port, or through the RS-232 or RS-422 serial remote control port using industry-standard switcher protocols.